There is no shortage of societal problems in our world. 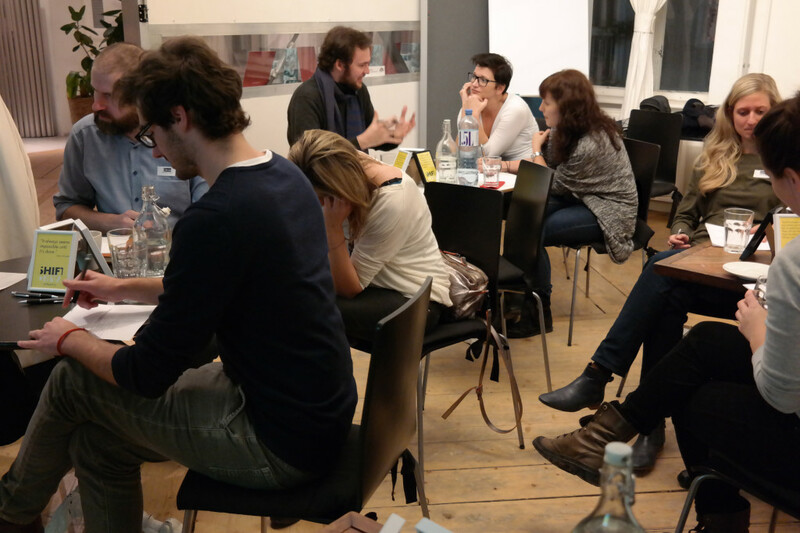 A recently founded Viennese startup is providing social entrepreneurship trainings to help change the world for the better. Shiftyard offers a social entrepreneurship training program for companies. The core feature is a 6-weeks „impact sprint“ that is held on a regular basis. Participants from different companies run through a guided design process to prototype an impact business model for a societal challenge that at the same time generates revenue and contributes to solving a societal problem. Shiftyard addresses the importance for established companies to not seeing CSR as a stand-alone unit but to integrate their social responsibility into the core business functions. Shiftyard was founded officially in September 2014. Co-founder Tobias Göllner who grew up in Salzburg studied at the Vienna University of economics and business. After having worked as a strategic consultant for TPA Horwath for three years he joined the Austrian startup community Pioneers. There he developed the program Pioneers Discover where established companies are brought together with startups. Before co-founding Shiftyard Stephan Kardos worked for Siemens focusing on leadership development. Outside his job he involved himself in projects whereby he developed a sound knowledge of various startup native techniques. The startup scene fascinates both founders. “There is so much going on, new things emerge every day and there is so much that can be done when it comes to societal challenges!” One of the reasons are the general conditions at the moment. Today it is easier and cheaper to found a startup. It is possible to quickly try something out and produce a prototype without using up a lot of funds by for example 3D-printing it. Another reason is the predominant culture that characterizes the startup scene. Both founders knew that eventually they were going to establish their own startup. Tobias and Stephan chose the Impact Hub Vienna as their place of work because they appreciate the exchange with like-minded people and the flexibility that comes with working in a co-working space. What happens during an Impact Sprint? During the 6-weeks training program the participants learn techniques and methods that startups are already successfully working with. These entrepreneurial techniques are used to develop a business model that aims at solving a societal challenge. The first Impact Sprint started on December 15th, 2014 and runs until the beginning of February. Participating companies such as Samsung, the Österreichische Post AG and Microsoft have set their goal to learn from startups and at the same time to work on a real-life societal challenge. The current impact sprint revolves around the following question: How might we ensure that young people in Austria benefit from the same chances for education, skills training and orientation regardless of limiting socio-demographic factors? During an Impact Sprint the participants develop interesting, new business models with high potential for success. 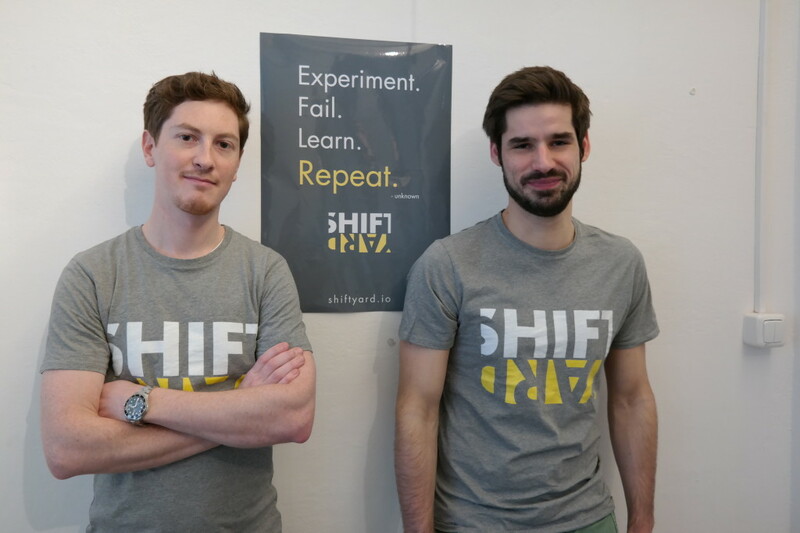 The Shiftyard team’s goal is to support the realization of the developed idea. For this reason young people interested in founding their own social impact startup are also participating in the training program. 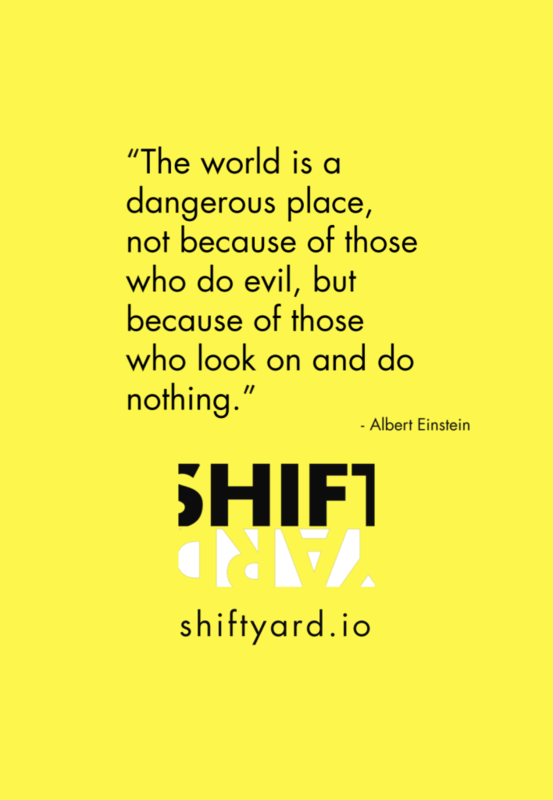 Students have the possibility to become volunteers at Shiftyard, acting as a social entrepreneur in residence and establishing their own startup based on the developed business model or support the realization of other business ideas. The corporate participants can act as mentors for the young entrepreneurs after the training or contribute in any other way to bring the business model to life.